Conference play time… time to make a move! With non-conference play done for the season, it’s finally time to test each other and figure out who is the best in the Big Ten this season. These are the real games where every win and loss will determine who will be making that trip to Indianapolis in December, and that first step begins this weekend. Conference upsets? Mmmmmmm… Let’s take a look at how things transpired. There are three pivotal games in the Big Ten this weekend. Coach Harbough has these guys believing in each other as well as the system as them steamrolled Maryland and shut them out at home. The Wolverines were solid on both sides of the ball and senior QB Jake Rudock controlled the tempo and finished the contest going 16 of 32 for 180 yards with one touchdown. The Michigan defense forced three turnovers as the Terps’ quarterback situation continues to look disastrous. Junior Caleb Rowe was picked off three times before being benched for the second straight week. Rowe has now thrown 12 interceptions on the season. The Wildcats pitched a shutout while only allowing just 173 yards to the Gophs’ offense. Minnesota quarterback Mitch Leidner was held to just 72 yards passing and one interception on the day. Can you say defense? The Wildcat offense was led by quarterback Clayton Thorson and tailback Justin Jackson. Thorson threw for 128 yards and added another 24 yards and two scores on the ground. Jackson rushed for 120 yards on twenty carries. Nebraska has had some major issues in the waning minutes of its games thus far, and that continued Saturday in Champaign. The Illini scored the game-winning touchdown with just seconds left on the clock; something that is becoming all too familiar to Husker fans. Talk about disappointment. The Illini (4-1, 1-0 in Big Ten) defense stopped the Cornhuskers (2-3, 0-1) on a fourth-and-7 at their own 27-yard line with only 51 seconds to play to give Wes Lunt one last shot at winning the drive. At that point, on three straight plays, Lunt went to his favorite target, Geronimo Allison. Twice Allison caught the ball, only it was out of bounds. But the Nebraska secondary also interfered with Allison to move the ball to the 1. Lunt finally hit Allison in bounds, low and just inside the end zone for the game winner with 10 seconds to play. 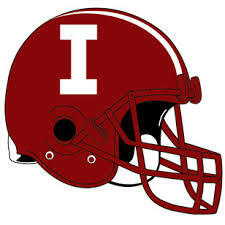 Lunt led the way for the Illini as the junior threw for 251 yards and a pair of scores, while Allison finished with eight passes for 91 yards and a score. Tommy Armstrong struggled just about all day for Nebraska, completing just 10 of 31 passes for 105 yards and an interception. True freshman tailback Devine Ozigbo ran for 70 yards and a touchdown on just seven carries. The win snapped a three-game losing streak in Big Ten openers, and was Illinois’ first victory against Nebraska since 1924. Upset? Naw… just slow, sloppy game. The Badgers held Iowa quarterback C.J. Beathard to just 77 yards passing but the Hawkeye defense forced four turnovers in leading the way to the victory. Jordan Canzeri led the way again for the Iowa offense, rushing for 125 yards on 26 carries. The lone touchdown of the contest came just before halftime as Beathard connected with tight end George Kittle for a one-yard score. The Hawkeye offense managed just 221 yards on the day and failed to put up any points in the second half. 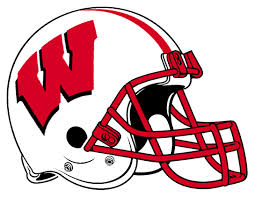 For the Badgers, senior quarterback Joel Stave did not have his finest day. He threw for 234 yards with two interceptions while also losing a pair of fumbles. This lose snapped Wisconsin’s ten-game home winning streak. Moral victory or did the Spartans play down to the Boilermakers and took their feet off of the gas pedal? State was up 21-0 halftime and Purdue’s running back Markell Jones caused all kinds of fits for the Spartans. The true freshman rushed for 157 yards and two touchdowns on 22 carries. Quarterback David Blough added 136 yards and a score through the air. Late in the fourth quarter with a chance to pull off one of the season’s biggest upsets, but they failed to convert on fourth down, allowing the Spartans to remain among the unbeatens. Connor Cook threw for a meager 138 yards and a touchdown, but the Michigan State running game continues to lead the way on offense. True freshman L.J. Scott had the best game of his young career, rushing for 146 yards and two touchdowns on just 18 carries. Madre London added 97 yards on the ground while Cook chipped in another 48 yards. It was a bit of an ugly week for the conference as Ohio State and Michigan State both struggled but they snagged the ‘W’ – no one will care how they won in November. Northwestern and Iowa continue put together some impressive performances and the Hawkeyes should find themselves ranked this week. And Michigan’s defense continues to look like one of the top units in the country as Jim Harbaugh has the Wolverines on the up and up. Next week we’ll all be watching as the Buckeyes host Maryland amidst all the homecoming festivities. Indiana travels to Happy Valley for what could be an intriguing matchup. The game of the week will take place in Ann Arbor where Michigan will take on Northwestern.